For parents, grandparents, and guardians of Little Leaguers®, The Parent Connection is your newsletter and we encourage everyone to let us know what’s on your minds. Your Voice is a way for readers to share questions with us, and an opportunity for Little League® to provide some important information and guidance. We are excited about our continued conversations, and, as always, we invite you to share your thoughts, suggestions, and questions. This month, we turn to the followers of the Little League Facebook page for questions about the pending implementation of USA Baseball’s USABat standard. You can learn more about the new bat standard at LittleLeague.org/BatInfo. Dustin from Texas – When will the new bats with the USA Baseball sticker be available in stores? Little League – Little League Baseball® will adopt a new bat standard effective on January 1, 2018, for the Little League Major (league age 12 and below), Intermediate (50/70), and Junior baseball divisions. All national members of USA Baseball, including Little League®, are expected to adopt this new standard, which was developed by a USA Baseball committee of scientific experts. The new bats bearing the USABat logo identification, are expected to be available for purchase at retail stores by September 2017. TEE BALL NOTE: The USABat Tee Ball Sticker Program is an initiative designed to allow for the continued use of tee ball bats that were manufactured prior to the implementation of the new USABat standard. This program will allow individuals and families to purchase approved stickers marked with the USA Baseball logo and language which reads: ONLY FOR USE WITH APPROVED TEE BALLS. Stickers will be available for purchase online via USABaseballShop.com beginning September 1, 2017. 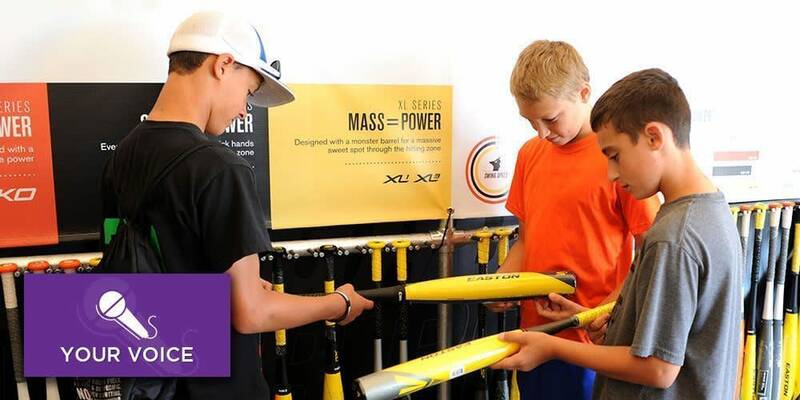 Tony from Virginia – Will the new Little League® bats have their own size, weight, and drop limits? Little League – The new USABat standard will not have a drop-weight limit, so younger players can use bats made with light-weight materials. Beginning in 2018, for the Little League (league age 12 and below), Intermediate (50/70) and Junior baseball divisions, the bat diameter shall not exceed 2-5/8 inches. Annessa from California – Will the new USA Baseball bat standard apply to softball bats too? Little League – The new bat standard developed by USA baseball is for youth baseball bats only. Softball bats are not impacted by this new standard, but all bats used in any division of Little League Softball® must adhere to Rule 1.10 of the current year’s Little League Softball Official Regulations, Playing Rules, and Policies. Andrew from Florida – At what ages/divisions will the 2 5/8-inch barrel bats be allowed? Little League –The new USABat standard 2 5/8-inch barrel bats will be allowed in the Little League Minor and Major Divisions (league ages 5-12), Intermediate 50/70 (league ages 11-13), and Junior Divisions (league age 12-14). All players participating in the Senior Baseball division (regardless of league age) are required to use 2 5/8-inch bats with the BBCOR markings. Brenda from Michigan – Annually, our Little League provides bats to each team, which will be a huge expense next season. Will there be a one-time league discount offered to help leagues provide USA Baseball bat standard bats for their players? Little League – Little League® International is exploring ways to support its local leagues with the transition to bats using the USABat standard. There will be a variety of bat models at different price points which should help with leagues purchase bats that meet their operational budget. More information and direction to local leagues is expected to be provided in the coming months. The latest information on the USABat standard is available on LittleLeague.org/BatInfo.